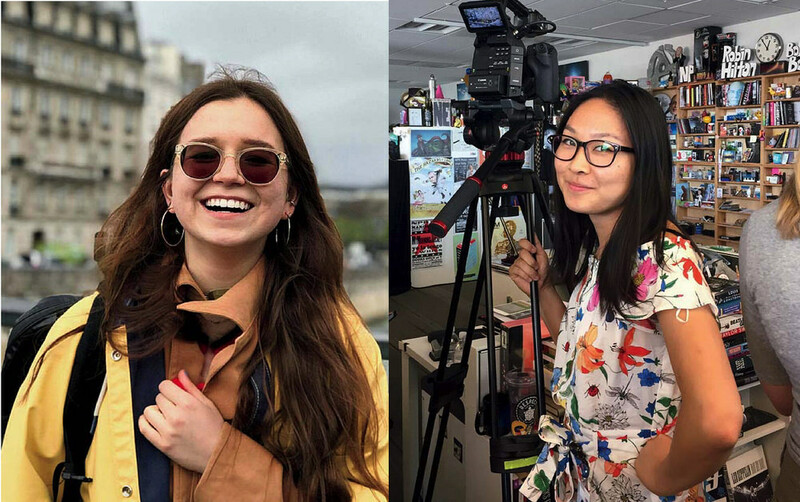 This fall semester, seniors Isa Flores-Jones and Catherine “Cat” Zhang join this magazine’s editorial staff as the 2018-2019 Berta Greenwald Ledecky Undergraduate Fellows. They will contribute in print and online throughout the academic year, taking turns writing the “Undergraduate” column, beginning with the November-December issue, and reporting on other aspects of student and University life, among other responsibilities. Flores-Jones, of Sacramento, balances history and literature coursework with cooking and cleaning responsibilities for the College’s Dudley Co-op, on Sacramento Street in Cambridge. She writes short fiction and longer nonfiction for the features board of The Harvard Advocate and the Harvard Arts Blog, is an organizer for Harvard’s Divestment campaign, and has served on the Undergraduate Council. After a spring semester at the University Complutense in Madrid, studying gender politics, sheep, and the Spanish language, she spent the summer on a Weissman Fellowship in Mexico City, working at a nonprofit engaged in bettering environmental and human rights via corporate accountability. Sometimes, she sings. Zhang, of Plano, Texas, and Adams House, is a social studies concentrator who spent her junior spring in London, where she studied European social and political thought, volunteered at a women’s radio station, and assistant-directed a short film. She is editor-in-chief of Harvard’s satirical news publication, Satire V, and the former head writer of the sketch comedy group On Harvard Time; she also contributes to the Harvard Political Review. This past summer she interned at NPR Music—occupying the desk next to Bob Boilen’s famous Tiny Desk—and conducted research for a senior thesis on the Frankfurt School and hip-hop. The fellowships are supported by Jonathan J. Ledecky ’79, M.B.A. ’83, and named in honor of his mother. For updates on past Ledecky Fellows and links to their work , see here.